Cooper is due on September 8th. The opening day of Football season. And my best friend Kaila’s birthday. Will he come on time? Will he go over my due date? These questions run through my mind on a daily basis. But after today’s doctor appointment, I am feeling confident that he will stay in as long as possible. He is perfectly happy break dancing in my womb and kicking my rib cage when he gets hungry. Before my appointment today, I went to the store and picked up a cookie cake. I wrote a short “thank you” note – simply thanking the staff, nurses, and doctors for being so amazing and making me feel so comfortable from Day 1. 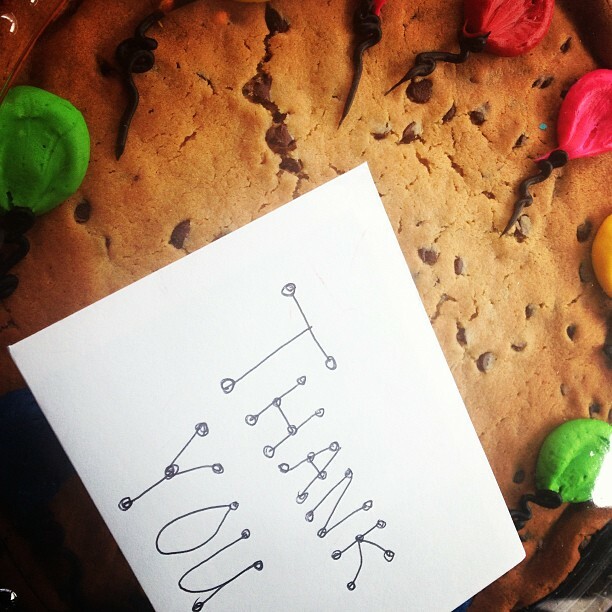 People never forget when you bring them treats and kind notes. I was under the impression that this doctor appointment would include the infamous Group B streptococcus (GBS) culture. What type of test is that, Ashley? Well my friend, I’m glad you asked. The doctor simply swobs your rectal and vaginal area. While GBS is harmless in most healthy adults, it can be passed to your newborn during delivery and cause a life threatening infection. 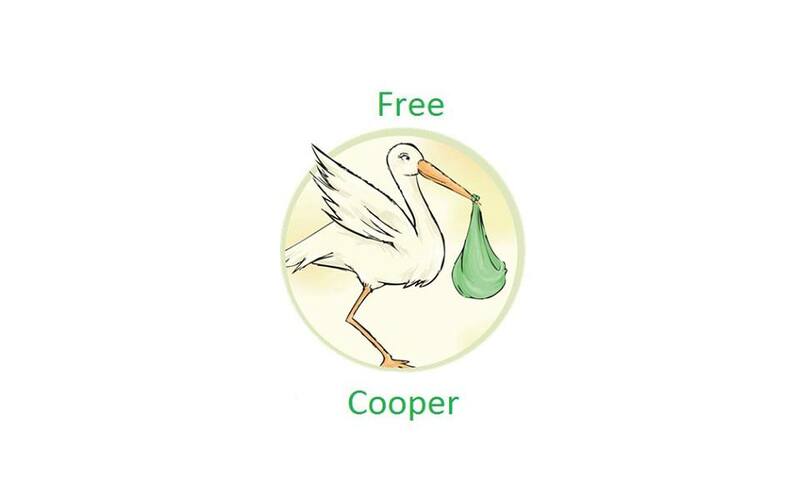 So while I don’t dream of getting my V and B swobbed – it’s really important so that proper preparations, testing, and treatment are considered before Baby Cooper arrives (should I carry GBS). Weight: I’ve officially gained 40 lbs. I told myself I wouldn’t look at the scale (like I always say), but I did (like I always do). I am trying not to stress or worry about this number. The doctors haven’t mentioned my weight being an issue (even though I know deep down it is). I’m not at a healthy weight. And I’ll definitely have my work cut out once I adjust to mommyhood. After the nurse was done, the doctor came into the room and asked how I am feeling. “I am having a little bit of pressure down there…nothing major though,” I said. She said that was normal, especially with the baby making his way down. Next, she measured my belly and told me that everything is measuring perfectly. Then she measured Cooper’s heartbeat, which is music to my ears. A reminder that no matter how bad of a day I’m having, my baby boy is alive. He is doing well. He is growing and moving and being awesome on a daily basis. “Nice, healthy, and strong heartbeat,” she said. “That is what I love to hear,” I said. Ummm hold the phone?! I thought. No strep test. I’ve come prepared! Now I have to wait another two weeks!! I said nothing and simply smiled. “Do you have any other questions?” she asked me. “I think I’m good!” I said back, still debating if I should just ask to get the test done today. My next appointment is in two weeks…I’ll be almost 38 weeks pregnant!! They sure don’t seem too concerned about Cooper coming early. What’s my gut feeling? I think I’ll go over my due date by a few days. But I also thought I was having a girl…so who knows how legit my predictions are these days. So, what’s your bet? When will Cooper be set free? I think he will wait 'til your due date or after. Most babies do. Though, Hudson came at 39 weeks and he was my first!! You're doing great! !